We’re all fully aware of what behaviour is right? Behaviour is anything a person does in response to an internal or external event. Behavioural scientists have developed models to further understand different elements of behaviour. One particularly influential model is known as COM-B. 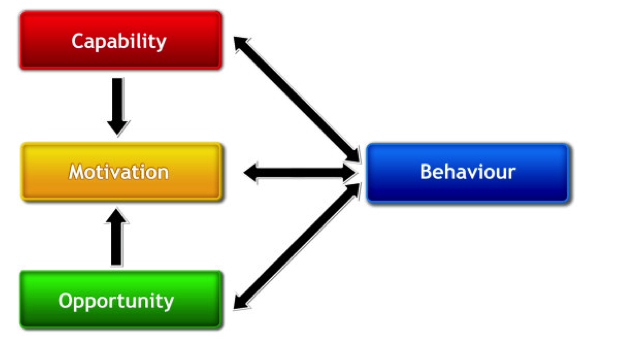 The COM-B model suggests that for a particular behaviour to occur, three essential components are required. So what are these magic ingredients? The COM-B model actually forms the centre of the Behaviour Change Wheel (BCW). The BCW is a handy tool that can be used to effectively guide the development of behaviour change interventions. In the BCW, each of the COM-B components are linked to ‘intervention functions’ and ‘policy categories’. 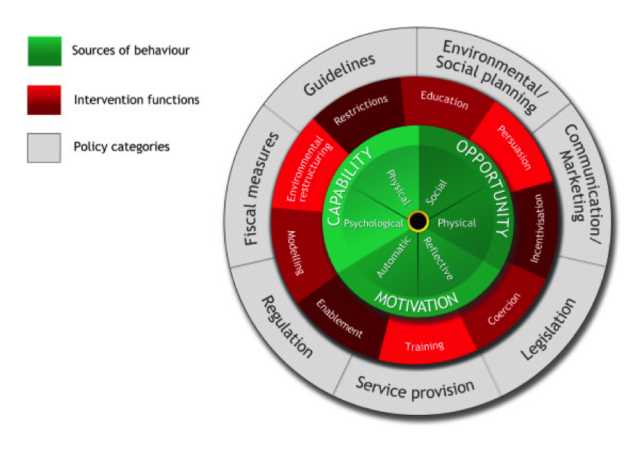 The BCW maps out which type of intervention function is likely to initiate behaviour change in each associated COM-B component, and following this, which policy categories should be addressed. By using this framework you are more likely to produce effective, theory-driven interventions, grounded in evidence-based principles. There are plenty of examples where the BCW has been put to good use. 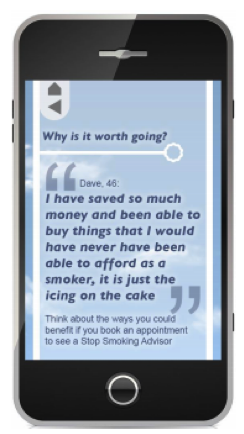 The team behind Stop App used the BCW to design an intervention to encourage access to Stop Smoking Services. They first determined the key barriers stopping people from attending Stop Smoking Services, and then carefully targeted the relevant COM-B component with appropriate intervention functions. So next time you need to change a complex behaviour, why not try to understand it first using the COM-B model? And if you need to go deeper, head to the Behaviour Change Wheel.